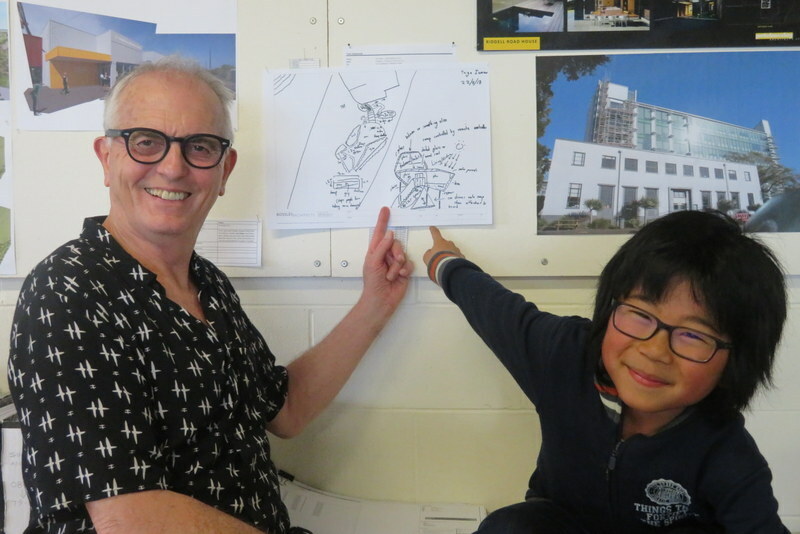 Taiga, our 9-year-old friend from Earthsong, joined us for a day exploring the work of some of Aotearoa’s leading architects. Fifteen central Auckland architecture firms held open days, and we managed to spend time at four, talking with staff and looking at current project models, past work images and futuristic designs. Taiga had two especially exciting experiences. Beca staff gave him a virtual reality headpiece tour – on a “magic carpet” over the rooftops of San Francisco. And Pete Bossley, noticing Taiga’s interest in the drawings on display, quietly gave him squared paper and pencils, and Taiga immediately began designing a house on a slope, with a tilted car park underneath, and a garden and water feature. The staff team gathered round, most impressed . Taiga’s mother, Tomoko, told us the next day that Taiga went home and designed a new home for them! 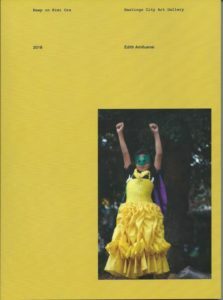 In 2016, Hastings City Art Gallery invited photographer Edith Amituanai to engage with a local community in an art project, with the aim of making that community more visible through its participation. 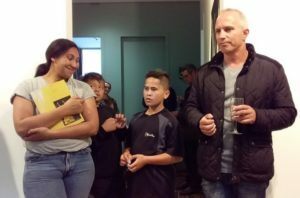 She took up a five-week residency at Kimi Ora Community School in Flaxmere, and developed a beautiful relationship with students, staff and wider family and community. As well as taking photographs herself, she taught students about photographs and lent them her camera to take home and use with family and in the neighbourhood. 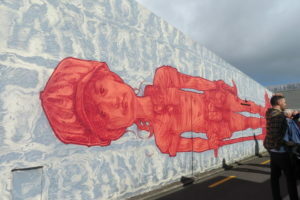 Keep On Kimi Ora, by Edith Amituanai, published May 2018 by Hastings City Art Gallery. We weren’t able to go to Hastings for the project exhibition, so were delighted when we received the Anna Miles Gallery invitation to the launching of Keep On Kimi Ora. We met there some students and staff from Kimi Ora Community School, and felt at first hand the warm and loving relationship Edith has developed with them, and their enormous regard for her, as well as their pride in their school’s achievements and the changes in school and community because of the project. Edith Amituanai is acknowledged as one of Aotearoa’s leading photographers. She has also become a remarkable agent of social development, enabling groups to document and celebrate their own empowerment. 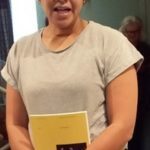 It was a privilege for us to get to know Edith in Ranui, particularly through her work with Ranui Action Project. We look forward to the next instalment of the #keeponedithamituanai story! 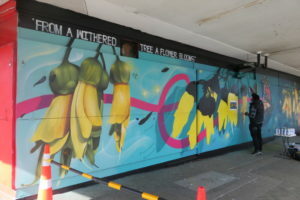 Another wonderful example of community empowerment and transformation is the that of the street art project in Glen Innes, Auckland. 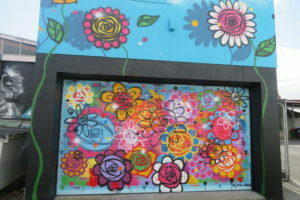 We read about a talk and guided tour of local murals to be given in Te Oro, the stunning music and arts centre for young people in Glen Innes, a suburb of south-east Auckland. 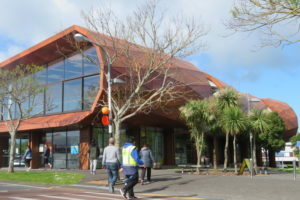 The building , Te Oro, is itself a work of art, designed by a a team with strong Maori and Pasifika presence.